The Comcast Technology Center dominates the Philadelphia skyline as seen from the Belmont Plateau in West Fairmount Park on Monday, Jan. 7, 2019. Philadelphia has a reputation for having high taxes — which it does, according to a report released Wednesday by the Pew Charitable Trusts that compared revenue and spending in 30 of the most-populous U.S. cities. Driving the city’s relatively high taxes and expenditures, the report said, were that Philadelphia is both a city and a county, so it is responsible for more government services than some other cities; it has a relatively weak tax base; and it has a high need for services, due to its high poverty and crime rates. Kenney proposes spending plan without tax increases. Council likes it but wants changes. How does Philly compare to other cities? Philadelphia, the sixth-largest city in the country, ranks fifth among the 30 cities for its local tax collections, raising $3,004 per capita in fiscal year 2015, which Eichel said were the most recent data available when the research began. In expenditures, Philadelphia ranked No. 8 overall with per-capita spending of $6,209. Mike Dunn, a spokesperson for Mayor Jim Kenney, said the administration applauds Pew for looking at the “root causes of the city tax burden.” But Dunn said listing Philadelphia’s spending alongside cities that are not also counties was problematic. The Pew report does compare specific spending categories to address that issue. Why does this comparison matter? Eichel said he believed the report is the first of its kind that looks at all areas of local governments and places them in the context of factors that influence taxes and spending in Philadelphia. The report broke down spending in different areas of local government: municipal services, which include police, fire, trash collection, highways, and parks; county functions, including health, hospitals, corrections, and judicial departments; education, or spending on local schools; and a category labeled “other," which includes public transit, housing, and other government administration. Philadelphia’s overall municipal spending was very close to the median for other cities. Broken down further by category, spending on police and waste management in Philadelphia was relatively high while spending on highways and parks and recreation was relatively low. Philadelphia’s education spending, at $1,689 per capita, according to the report, was higher than the 30-city median of $1,545. What factors influence Philly’s taxes and spending? Philadelphia is its own county, whereas many cities in the report — such as Chicago, which is part of Cook County — are in larger counties that include suburban tax bases. Compared with other states, Pennsylvania delegates more funding of county services to the counties themselves, Eichel said. And compared with other cities, Philadelphia has high poverty and crime rates and a weak tax base, which can explain some of the spending figures. “Such a perspective is needed for comparative analysis because of the wide variation in how local governments are organized,” the report states. 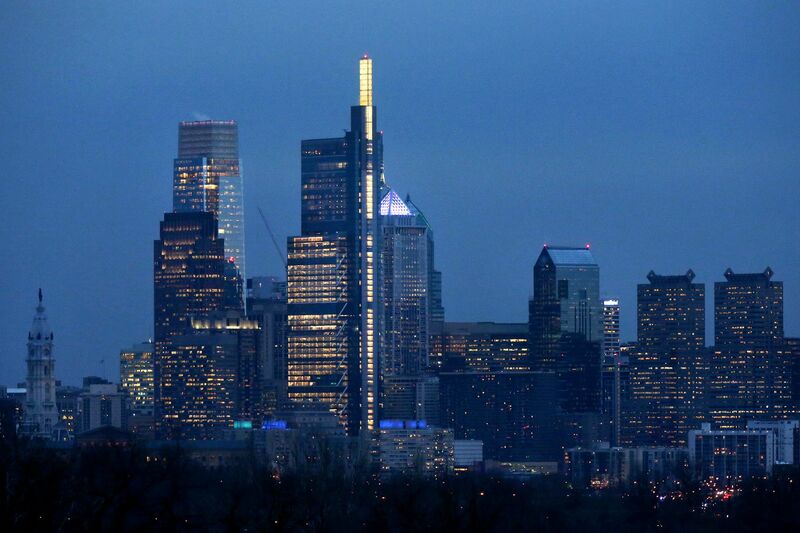 Three of Philadelphia’s major tax bases — personal income, assessed property value, and retail sales — are weak compared with other cities, the report found. The city’s market value of taxable property per capita in 2015, for example, was 22 percent lower than the median of the comparison cities. The Kenney administration said it hopes state lawmakers will take note of the differences between the burden Pennsylvania places on counties compared with other states. Have these comparisons changed over time? Much has changed in Philadelphia since fiscal year 2015 — the year Pew used for its report. That year’s budget, during Mayor Michael Nutter’s tenure, included $3.83 billion in spending. Spending has increased steadily since then, and Kenney has pushed for his own spending priorities since he took office and proposed his first budget for fiscal year 2017. Kenney proposed a $5 billion spending plan this month for the city’s 2020 budget. Eichel said estimates of where Philadelphia stands today compared with other cities is outside the scope of this Pew report.